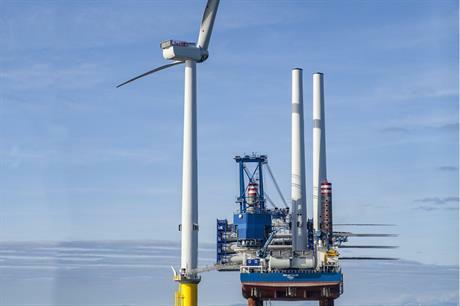 The first of 32 MHI Vestas V164 8MW turbines has been installed at the site, 7 kilometres off the UK's west coast. The 187-metre high turbine is the largest to be installed at a commercial project — excluding prototypes — to date. 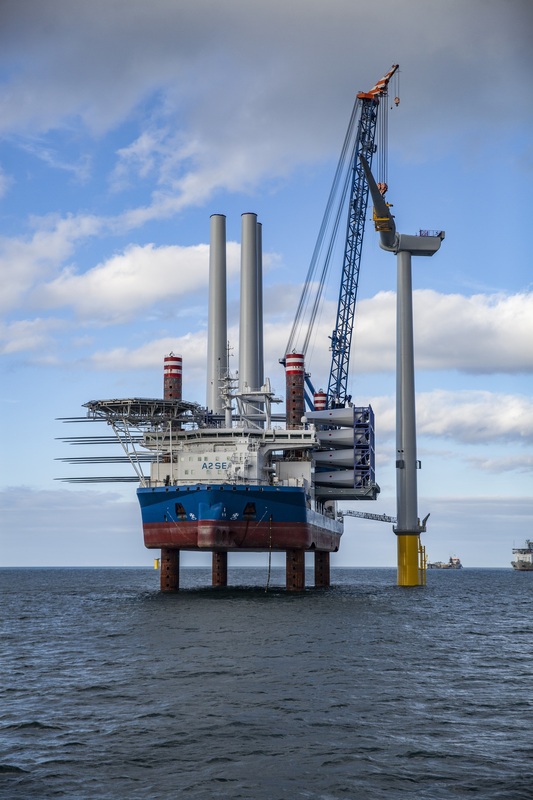 A2Sea's Sea Installer jack-up vessel is being used to install the turbine from the project's base port in Belfast, Northern Ireland. Completion is expected in the first half of 2017. "This is the first time ever MHI Vestas' 8MW turbine has been installed offshore. We used their new patented lifting tool and our newly extended boom," said Jan Riisgaard, the master on Sea Installer. The blades for the turbines were made at MHI Vestas' UK factory on the Isle of Wight, off England's south coast. Delivery of the blades began in July. In February, Dong sold a 50% stake of the project to Danish pension fund PKA and investment firm Kirkbi, owner of the Lego Group, for around £660 million (€848 million).